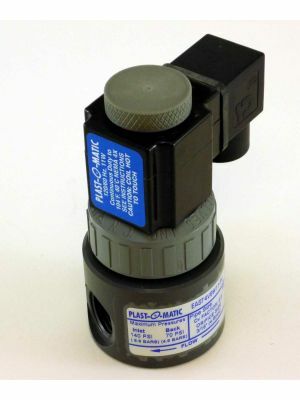 Plastomatic series EAST & EASMT PVC Solenoid Valves are an excellent thermoplatic solenoid choice for applications where space - and economy - matter. Valves and Instruments is your one-stop-shop for all things Plast-O-Matic. See our complete offering here. Or call us for a quote! •Versatile: Can be used for various solutions, including Includes acids, caustics, solvents, chlorine solutions and ultra-pure liquids. •Resistant to internal and atmospheric corrosion. No metal parts in wetted areas.